What an exciting moment in the movie world. Not one but rather three family friendly movies have opened recently at the movie theatre. The first one is one that I have been looking forward to for months -- The Muppet's new movie, Green With Envy. The others, Hugo and Arthur Christmas, I had not been paying much attention, too. Hugo I had seen what seemed like a long time ago in a trailer and mostly forgot about and Arthur Christmas I had dismissed because, well, it just seemed like yet another animated Christmas movie. Then at breakfast time on November 23, I pulled open the newspaper and was surprised when I finished reading the entertainment section that I was sold by good reviews of all three. Green With Envy also received a very solid review, a very respectable 3.5 stars and reviewer Katherine Monk says that Jason Segel has "successfully resurrected the Muppets" who have been tucked away at Disney for the last ten years. Monk says that the story "affirms the importance of a good attitude and a loving heart." I am pleased that The Muppets are back in such a successful fashion. Note that Disney released MANY movie trailers for Green With Envy and you can see them all together on one page, by clicking right here. Finally, there's Hugo, a Martin Scorsese 3D film called "a delightful celebration of the movies." Critic Roger Moore says that this movie is particularly of interest to grown up movie fans because of its references to movie making. The boy in this story lives in a Paris train station during a period of time between the two world wars. He's an orphan who looks after the clocks. Moore gave Hugo a good review and a score of 3.5 stars. 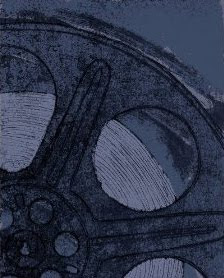 Hugo, by the way, is based on Brian Seznick's book The Invention of Hugo Cabret. Now I have a dilemma. Which movie to see? I expect it will be the Muppets who have had a place in my heart since I was a girl. How about you, which of these movies stands out for you? The New Muppets Movie Green With Envy (2011). 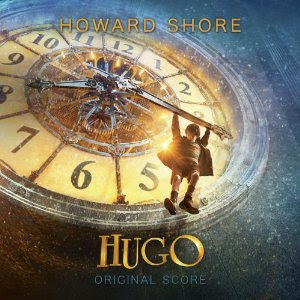 Order the Hugo Soundtrack from Amazon.